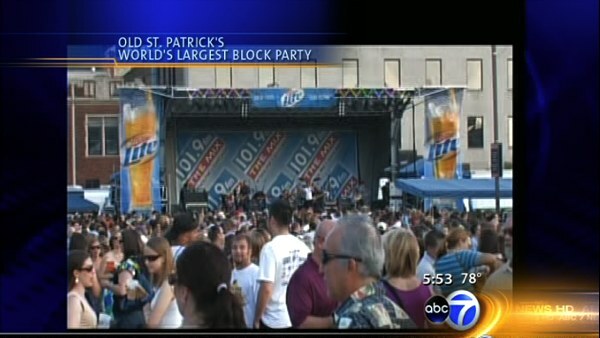 CHICAGO (WLS) -- Fans of the Old St. Pat's World's Largest Block Party will see a lot of changes this year. The fest has been shortened to one day, and it's moving. The June 27 party will be held this year at the UIC Festival Lot in the West Loop from 5:30-10:30 p.m. The entry gate is located on Morgan Street between Taylor & Roosevelt. There will be shuttles to the entrance gate from Old St. Pat's on the corner of Adams and Des Plaines.